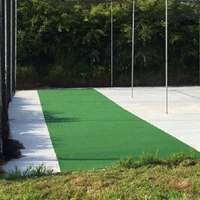 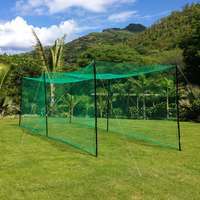 New design cricket cage. 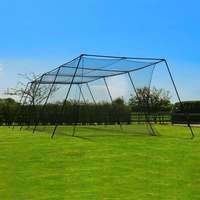 Includes steel frame, corners and option for internal or external netting. 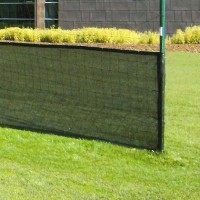 10ft in height with a range of length options available. 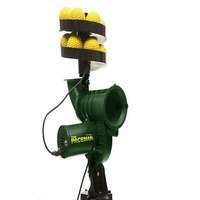 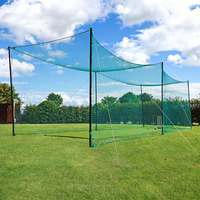 The Vulcan features a revolutionary freestanding frame design, which offers both high levels of stability, and also enables the use of internal netting, reducing the risk of rebounding balls. 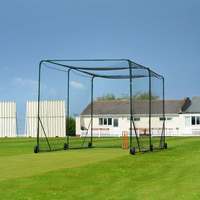 It offers a fully enclosed option, meaning the only space needed to use the Vulcan is the size of the cage itself. 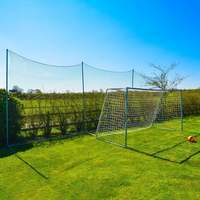 Length: Choose from 35ft, 55ft & 70ft. 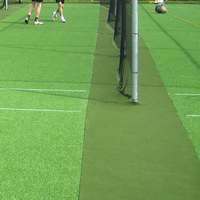 Width & Height: 10ft (top) & 14ft (bottom) width x 10ft. 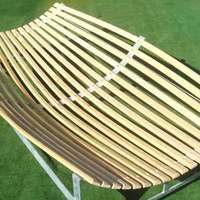 1.5" OD powder coated steel construction which is resistant to corrosion. 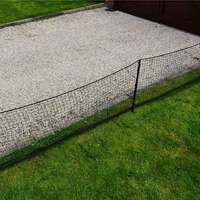 Four-way and three-way galvanised steel corner connectors included. 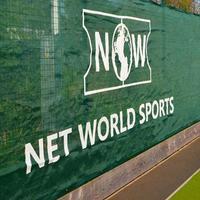 Rectangular netting manufactured from UV stabilised 2mm twine. 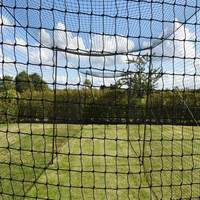 The only set-up space required is the size of the cage. 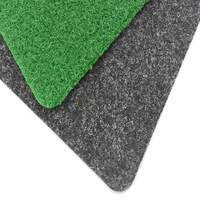 Suitable for use on grass and hard surfaces. 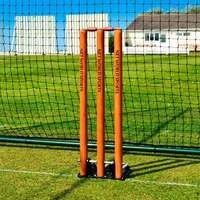 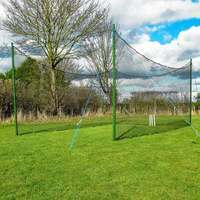 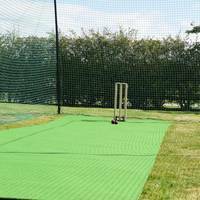 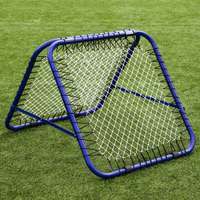 This cricket net cage is ideal for cricket clubs and is also popular for home cricket if space permits.